A radical transformation happening before our eyes! 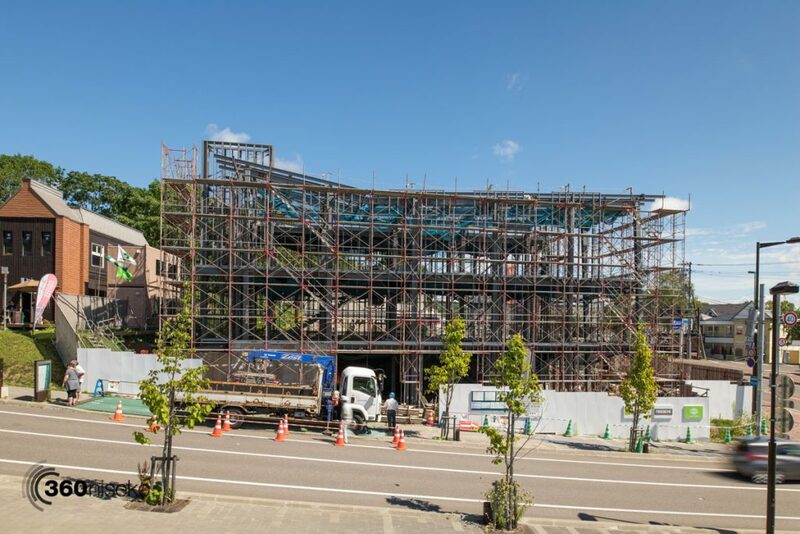 The old building at the Hirafu crossroads….it’s gone. The iconic structure was most recently a cafe, crepe restaurant and showroom for Odin Properties . In the panorama below you can step back in time and checkout Hirafu circa December 2010. Back then the building was still operating as Abucha – note the tell tale eager diners lined up just prior to opening…not much has changed there for customers of the ever popular restaurant now located in Suiboku. Click and drag to look around the scene and hit the fullscreen icon 3rd from the right in the panorama tool bar for a immersive view. As of April this year re-development work started on the site in earnest with demolition of the “grand” old building to make way for…. Abucha Demolition, 22 April 2016 from 360niseko on Vimeo. As of yet the only details we have on the new building is that it will be called ODIN PLACE a retail complex, made of 3 storeys, with skiwear, fashion & food and beverage opening in December this year. Bravo! !